After years of working as a graphic designer, April got her first tattoo and realized it was time for a career change. 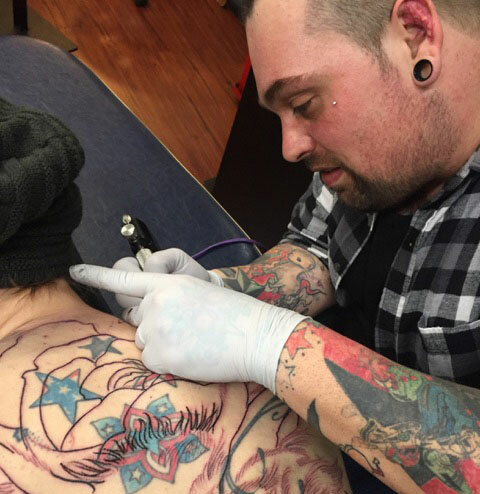 Tattooing has provided the creative outlet she was looking for and fulfilled her desire to be part of an ever-growing creative community. 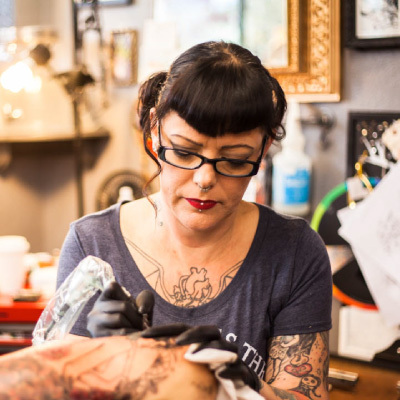 April opened Memento Ink in 2011 to create a tattoo parlor where the customer always comes first and the experience is a positive one. He once climbed mount Everest and tattoo'd everything up there (including a Yeti).